It’s difficult not to be struck by Shauntay Grant’s humility. 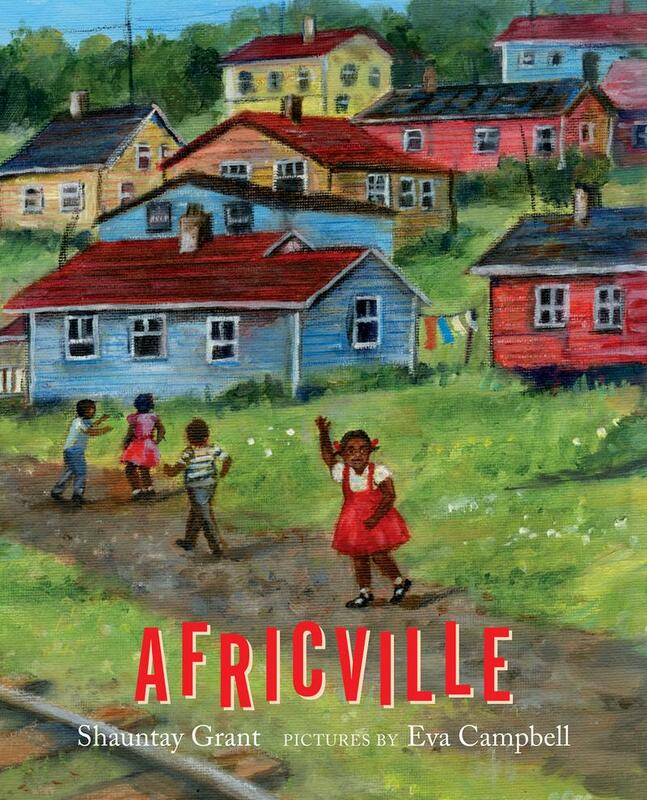 As the award-winning author of children’s literature and assistant professor and creative writing coordinator in Dal's Department of English speaks of the creation process of Africville — the new book she published in collaboration with illustrator Eva Campbell — she speaks softly but passionately. The book was nominated for a 2018 Governor General’s Literary Award and went as far as being in the list of finalists. An impressive feat, no doubt — but one that Grant humbly smiles about. A descendant of Black Refugees — a group with historical ties to Africville — it is easy to understand the nostalgia behind her words in the book. The poem, which was not initially written for a young audience, was written on site at Africville and later developed into the children’s book. The combination of illustrative art and poetry creates a compelling yet simple story of a celebration of culture — food, family and community. The reader cannot help but feel as though they were the young girl, travelling through time, to experience a gone but not forgotten gem of Nova Scotian history. Having focused on children’s books for most of her publishing career, for Grant a picture book in remembrance of Africville was a natural progression. The book focuses on sites of memory and connection to ancestry. While Grant — who served as Halifax’s third Poet Laureate — never lived in Africville herself, the draft of her book was shared with former residents to get their feedback and ensure that they could connect to the story and what it represented. Our conversation progresses to her role as a creative writing instructor at Dalhousie. “I love language and writing, and I love telling stories. To be able to work with students and help guide their story telling journey is really fulfilling for me,” she says. As our chat draws to a close, I ask about other projects that she is working on. She mentions The Bridge, a play which will make its debut in January 2019 on Neptune Theatre’s mainstage, a co-production between Neptune and 2b theatre in association with Obsidian Theatre. It appears that the sky is the limit for this award-winning creative writer.